The head of Europe’s food safety watchdog has written to a group of nearly 100 senior scientists strongly rejecting their criticisms in an ongoing row about the safety of weed-killer ingredient glyphosate. The European Food Safety Authority (EFSA), which advises EU policymakers, in November issued an opinion that glyphosate is unlikely to cause cancer. That clashed with a view from the International Agency for Research on Cancer (IARC), part of the World Health Organisation, stoking outrage among environmental campaigners and divided the scientific community. The IARC said in March that glyphosate is “probably carcinogenic to humans”. Ninety-six academics from universities around the world signed an open letter to European Health Commissioner Vytenis Andriukaitis, dated Nov. 27 and written by Christopher Portier from the US-based non-governmental organisation the Environmental Defense Fund. Portier was also a specialist consulted for the IARC’s research on glyphosate. It called for “a transparent, open and credible review of the scientific literature”. EFSA’s conclusion could lead the 28-member European Union to renew approval for glyphosate, which was brought into use by Monsanto in the 1970s and is used in its top-selling product Roundup as well as in many other herbicides around the world. Bernhard Url, the executive director of EFSA, in his reply to Portier in a letter dated Jan. 13, describes glyphosate as “a keenly debated issue”. “I strongly disagree with your contention that EFSA has not applied open and objective criteria to its assessment,” Url writes in the letter seen by Reuters. Environmental groups have been calling for a ban on glyphosate. Url says representatives of EFSA and the IARC will meet early this year to clarify differences of view between the two bodies and that the IARC evaluations “represent a first step”. EU sources said the meeting would probably take place in Brussels in mid-February. 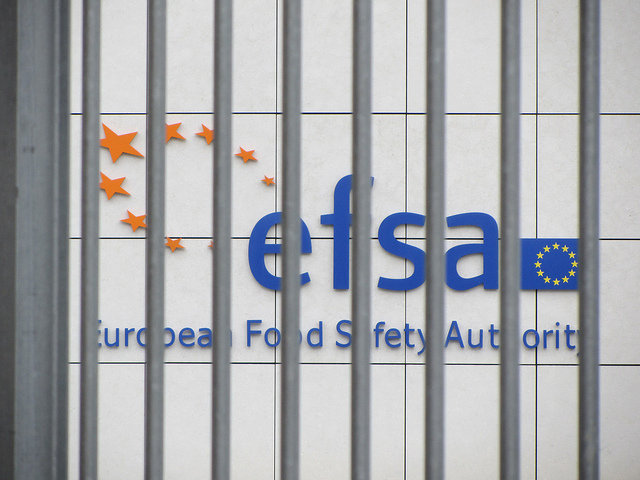 EFSA, based in Parma, Italy, also noted its reply was to Portier and the scientists who signed the letter, not to the IARC. “We should not compare this first screening assessment with the more comprehensive hazard assessment done by authorities such as EFSA, which are designed to support the regulatory process for pesticides in close cooperation with member states in the EU,” Url says. No one at the European Commission or Monsanto was immediately available for comment.